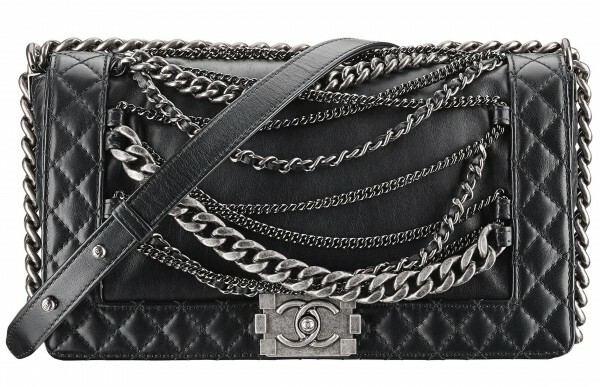 Launched in 2011, the Boy CHANEL bag has become an recognizable House creation and its status as such, is set to last. 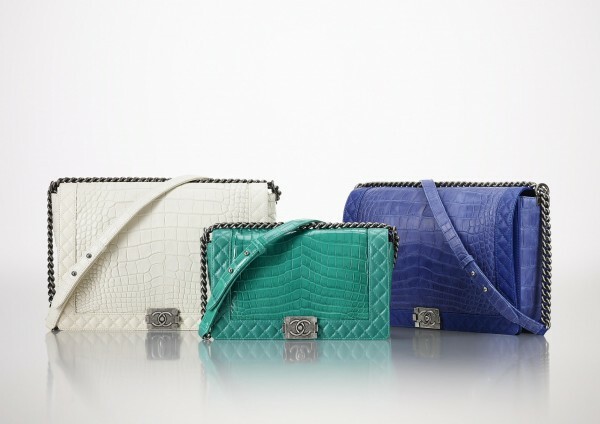 For the CHANEL F/W 2013 collection Karl Lagerfeld has reinterpreted its design with a resolutely modern and supple version. Quilted or smooth, the flap is animated by a graphic contrasting effect with an overstitched or quilted braiding. Forever faithful to its codes, the chain strap and the Boy lock, the handbag is available in four sizes from a mini version to a maxi bag. In shades of black, pearl grey and white, there’s a distinct contrast with the deep nuances of brick red, lead green and bright petrol blue. In addition to the smooth or patent calfskin and the exotic alligator and python skins, it also exists in two aged goatskins, one iridescent and the other with graduated shading. Another variation has a smooth leather or tweed flap and comes with four different sized link chains, emphasising the Boy CHANEL’s definitive rock’n’roll allure. I love this Boy and need it in my closet. My object of desire for F/W 2013, perfect to complement my edgy and punk-inspired looks for the next season. Available in CHANEL boutiques from September 2013.